Address: 15 South Franklin St.
Spanning the last 40 years, Mr. Levinson has built an impressive record of client victories including verdicts at trial, for both plaintiffs and defendants, in cases involving commercial disputes, construction law, medical malpractice and products liability. He has been nationally recognized for his skills and success in the courtroom by the American Board of Trial Advocates, who extended him membership several years ago. Mr. Levinson began his legal career first serving as a Deputy Attorney General for Pennsylvania. Once he joined the firm, he became heavily involved in construction law and medical malpractice law and has actively lectured on both subjects to members of the Bar and the Luzerne County Medical Society. He possesses a thorough familiarity with the following Codes, Statutes, Contract Documents, and Subjects: Municipal Construction Contract Law; School Building Construction Code; Contractor and Subcontractor Payment Act; Contract claims before the Board of Claims; State Procurement Code; AIA Construction Documents and General Conditions Applicable to Contractors, Subcontractors and Architects; and Arbitration before the American Arbitration Association-all of which is invaluable in representing contractors, owners, operators and architects and engineers from around the state. In the medical malpractice area, he has been gratified to win substantial awards for his injured clients. 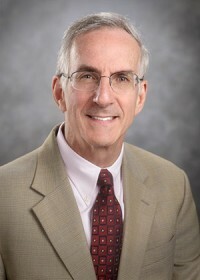 A graduate of Lehigh University, Mr. Levinson received his law degree from Georgetown University where he served as a student editor of the Federal Bar Journal. In 2011, Mr. Levinson was selected to become a Fellow of the Litigation Counsel of America (“LCA”), a Trial Lawyer Honorary Society composed of less than one-half of one percent of American lawyers. Invited to lecture on Construction Law by the Pennsylvania Bar Institute at seminars held in Philadelphia, Mechanicsburg and Pittsburgh, Pennsylvania. Mr. Levinson served as the chair of the Three Member Panel. From 2002-2010, Mr. Levinson has been the lead author on the annual update on medical malpractice cases. This information has appeared in the Pennsylvania Defense Institute Publication, Counterpoint. AV® Peer Review Rating by Martindale Hubbell — This rating attests to a lawyer’s legal ability and professional ethics, and reflects the confidential opinions of members of the Bar and Judiciary. The AV® rating is a testament to the fact that a lawyer’s peers rank him at the highest level of professional excellence for those practicing law for more than 10 years.